Negan is one of those villains you love to watch in the horror sci-fi TV series, The Walking Dead. 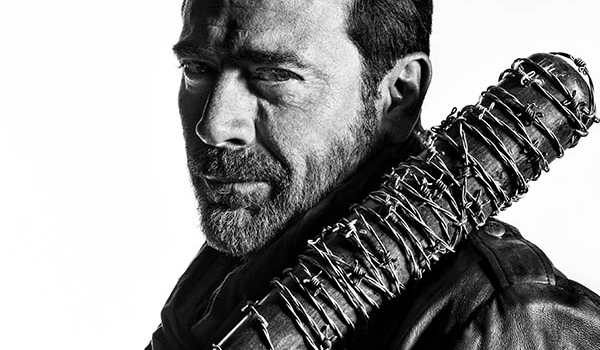 With him you know you are going to be entertained: it's like when you take the lid off a snake nut can and the toy spring pops out and hits you in the face, only instead of a spring it's jeffrey dean morgan ... with a bat. 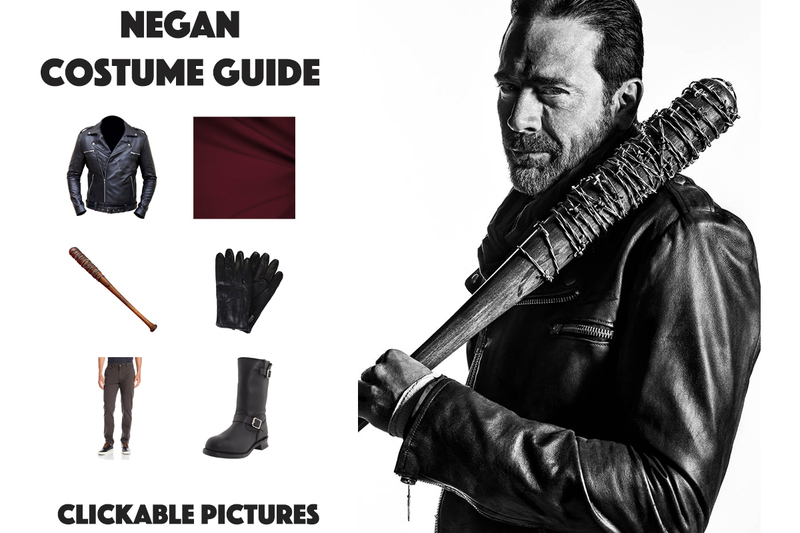 Anyways, we prepared this full guide if you want to dress like the Negan in The Walking Dead. 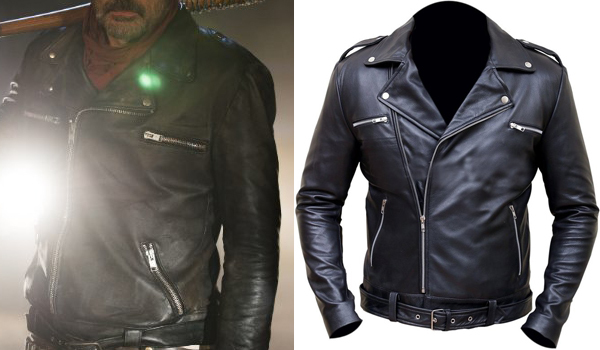 The motorcycle jacket that Jeffrey Dean Morgan wears in The Walking Dead for his Negan role is all black, made of leather, with two horizontal front pocket zippers. It is custom made for the show, but there is a quality replica available on Amazon. 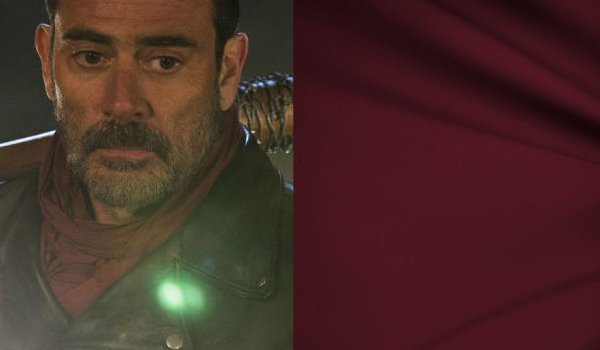 The bandana or scarf that Jeffrey Dean Morgan wears in The Walking Dead for his Negan role looks soft and comes in a solid burgundy color. 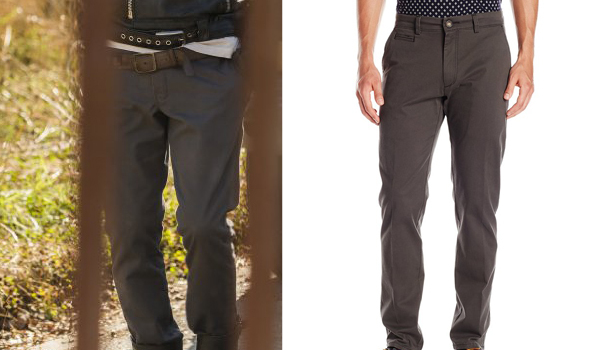 The pants that Jeffrey Dean Morgan wears in The Walking Dead for his Negan role are dark gray chinos. 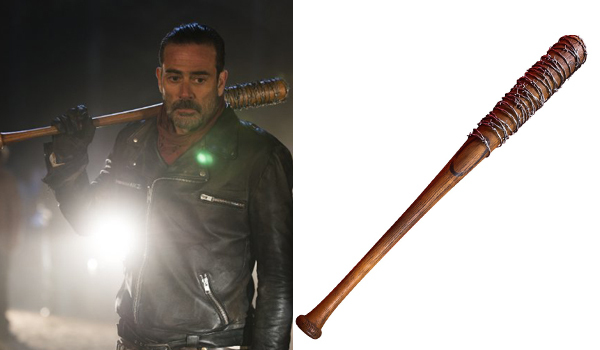 The bat that Jeffrey Dean Morgan uses in The Walking Dead for his Negan role is Lucille: his weapon of choice made from a baseball bat wrapped in barbed wire. Here is a life size replica. When you don't use it, we recommend you display it on your wall in a window box. 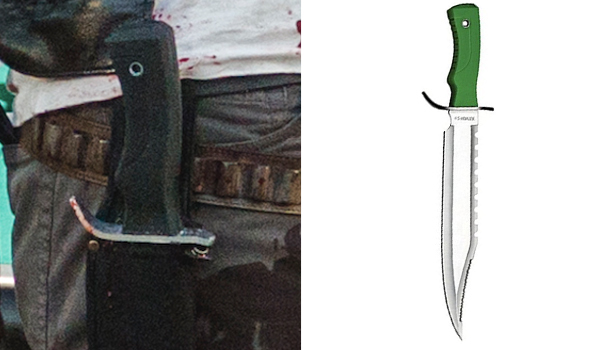 The knife that Jeffrey Dean Morgan uses in The Walking Dead for his Negan role has a blacked out handle and a fixed silver blade. It's the Z Hunter ZB-082 Fixed Blade Knife, but don't forget to paint the handle, we recommend this black paint that bonds to everything and doesn't stain. 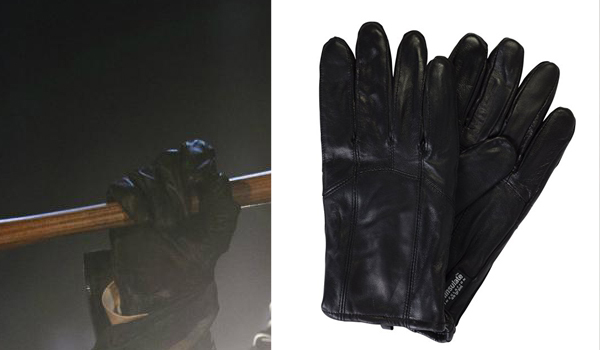 The glove (yes only one) that Jeffrey Dean Morgan uses in The Walking Dead for his Negan role is a simple black leather glove that he wears on his right hand (to handle his delicate Lucille bat). 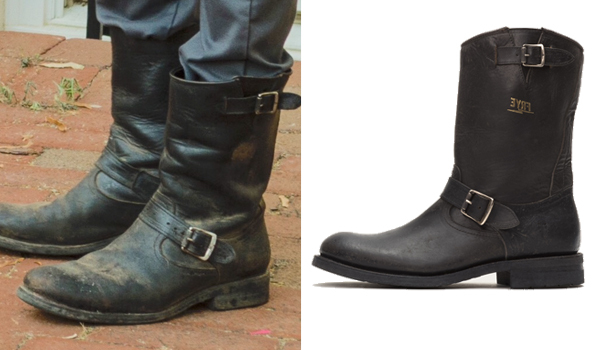 The boots that Jeffrey Dean Morgan wears in The Walking Dead for his Negan role are black leather boots with a buckle in the middle and on top. The exact model are Frye Stone Engineer Boots but if they are over your budget, the Dingo Rob Boots are very similar. 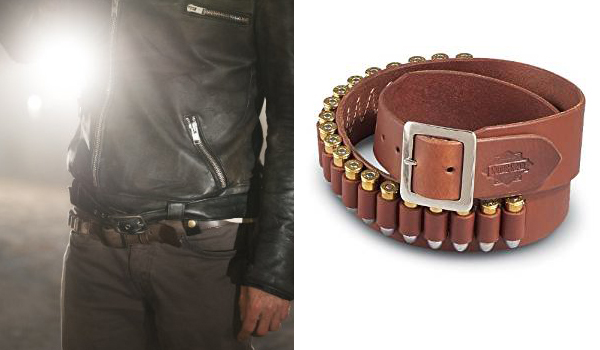 Negan's belt is a thin cartridge belt made of brown leather. If you want to perfect the look, notice how Negan always wears a white shirt underneath his jacket. It's all in the details. You probably already have one, but if you need another at a good price check out the Lee Oxford Shirt.